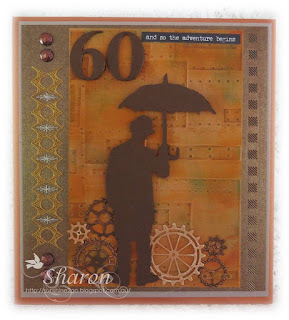 That is gorgeous card for your husband Sharon! wonderful keepsake. A super card Sharon, such a fabulous masculine design, I'm sure your husband loved it. Hi Sharon, wonderfully clever card too, well done, love all the details you’ve added and I’ve that stamp andnever used it you know! A happy 60th to hubby.